When it comes to employing a demolition company, one of the most important factors lies in knowing how to safely break down the structures that need to be removed. Taking into consideration preventing any damage to nearby property that could be effected in the event of improper execution. In the industrial heart of the West Midlands, that can be an especially important consideration. 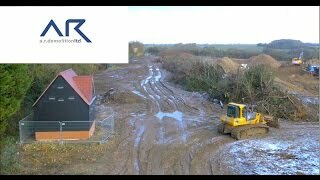 AR Demolition contractors are a highly skilled team who has successfully completed a number of high profile demolition projects. In addition, many of the buildings being renovated in the area are elderly structures that need to be replaced. These can often contain substances that are now regarded as environmental hazards requiring exceptionally careful handling during the demolition process. Even many relatively modern structures contain materials that are safe in situ but hazardous when disturbed during the removal process. The safe handling of potentially toxic materials is one of the most important parts of the whole job and it simply cannot be entrusted to someone without the proper kit and know-how. AR Demolition provides a level of precision and skilled civil engineering throughout the West Midlands.